Kao USA Inc., a wholly owned subsidiary of Kao Corporation, has announced it is acquiring Oribe Hair Care, LLC, from Luxury Brand Partners, LLC. Daniel Kaner, co-founder and current co-president of Oribe, will be named president of the newly acquired entity. Oribe will join Kao's Salon Division portfolio of professional beauty brands including Goldwell and KMS. "Oribe is a stellar brand and a perfect fit for the Kao Salon Division portfolio," says Cory Couts, Kao Salon Division global president. "And Daniel will be an exciting and inspiring addition to our management team. Daniel's appointment not only guarantees the continuity of all that is extraordinary about Oribe but is also a progression of our company's mission to appeal to the most artistic and business-minded salon professionals in the world." READ MODERN'S EXCLUSIVE INTERVIEW WITH DANIEL KANER AND CORY COUTS HERE. 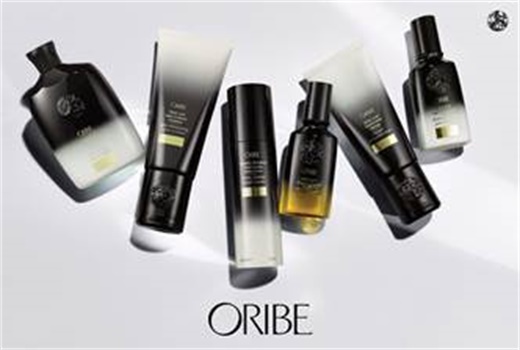 Oribe is known for its hair care, skincare, body care, makeup, tools and accessories, and holds a strong presence in the top-tier professional salon segment. Goldwell is a full service line of stylist-exclusive hair products designed for the professional's needs, and KMS' hair care and styling products suit creative stylists and their clients. "Kao is the ideal place for Oribe Hair Care to take the next step in its transformative journey," Kaner says. "I have a deep respect for their organization and talented leadership team. Our friendship and business relationship goes back years, most successfully with the strategic alliance in the United States between Oribe and Goldwell color. We have always believed that hair care should be an immersive and luxury experience, and Kao is incredibly supportive of the high standard that we set for ourselves." Oribe business will continue to be based in New York under its current management while reporting to the Kao Salon Division. "It is a bittersweet moment to say goodbye to a brand that Oribe Canales, Daniel Kaner and I founded and created almost 10 years ago," says Tevya Finger, Luxury Brand Partners CEO. "I am extremely proud of what Oribe Hair Care has been able to accomplish since its inception, and I look forward to watching Kao develop the brand on a global scale."